If you had a look at our previous articles about SAR radiation, you may be wondering what the process of measuring phone radiation technically looks like. Well, there are some special methods for measuring radiation level, but we’ll restrict ourselves to presenting the most popular one, which is used by the best laboratories in the world. Unfortunately, you can’t do this at home. In order to measure the phone radiation that we absorb researchers use models of the human head and body which are filled with liquids that simulate different kinds of human tissue. The test is taken when the phone along with a measuring device is placed on a special handle in close proximity to the model head or torso. What happens is that the robotic probe makes a series of precise measurements of the electric field in different positions of the phone against the model. Everything takes place in an anechoic chamber which absorbs electromagnetic waves that otherwise could affect the results of the test. The mobile phone is tested when it’s operating at its highest power and at different frequency bands. 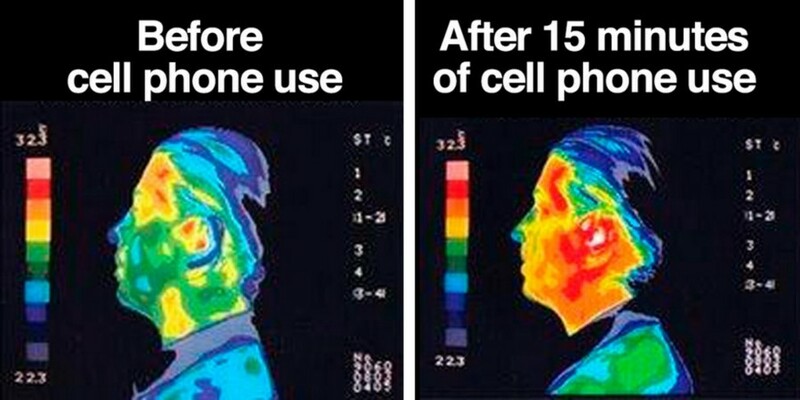 The test simulates the situation of holding the phone during a call, including both to the left and right side of the head, and the radiation our body is exposed to that is involved in it. Only the highest SAR values are shown on the smartphone’s packaging. We can distinguish between two kinds of radiation — body SAR and head SAR. They are measured in different positions against the test model. Body SAR refers to the radiation from the back of the phone — the part by which we hold the device. It usually has bigger values because of the closeness of the source of radiation. On the other hand, head SAR is the radiation that comes from the screen — that’s the side of the phone that comes into contact with the head. Head SAR radiation can actually heat up some cells in our brain, although it is protected by the skull. In the USA the SAR limit for mobile devices is at or below 1.6 W/kg (watts per kilogram) whereas in Europe it’s 2 W/kg.